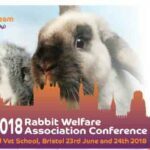 1st December – Rabbit Interactive Roadshow – 2 x 3 hour workshops covering dentistry and airway management, in Newcastle Upon Tyne, using the one and only Kevin Eatwell BVSc(hons), DZooMed(Reptilian), Dip ECZM(Herp, Small Mammal), MRCVS. Delegates are assessed and if they pass will receive a certificate. Small group, book early. This is open to Vets only. All places will be confirmed by email so please provide an email address. We are sorry but we are unable to send out confirmation, agendas, etc by post, only by email. 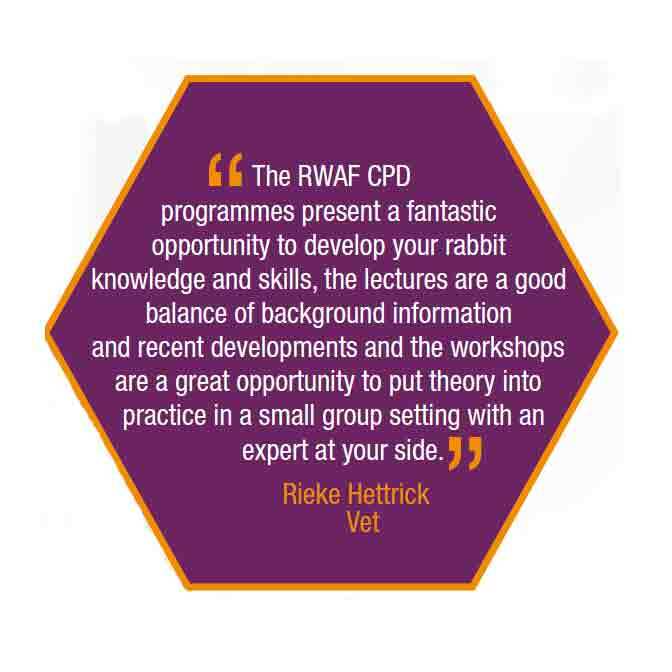 6 hours of CPD and lunch are included in the delegate price. 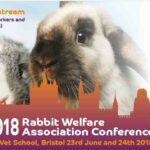 All bookings made prior to the conference must be paid in full to guarantee registration. Once payment has been received, an email confirmation and a receipted invoice will be sent. If payment is not made at the time of booking, registration will be provisional. Bookings received less than two weeks before the conference date can only be paid by credit card. RWAF reserves the right to make alterations to the conference programme, venue and timings. 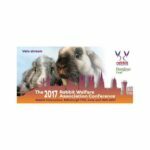 In the unlikely event of the programme being cancelled by RWAF, a full refund will be made. Liability will be limited to the amount of the fee paid by the delegate. If by re-arrangement or postponement the event can take place, the booking between the delegate and the organisers shall remain in force and will be subject to the cancellation schedule in paragraph 2. Views expressed by speakers are their own. RWAF cannot accept liability for advice given, or views expressed, by any speaker at the conference or in any material provided to delegates. It is the responsibility of the delegate to arrange appropriate insurance cover in connection with their attendance at the conference. RWAF cannot be held liable for any loss, liability or damage to personal property.